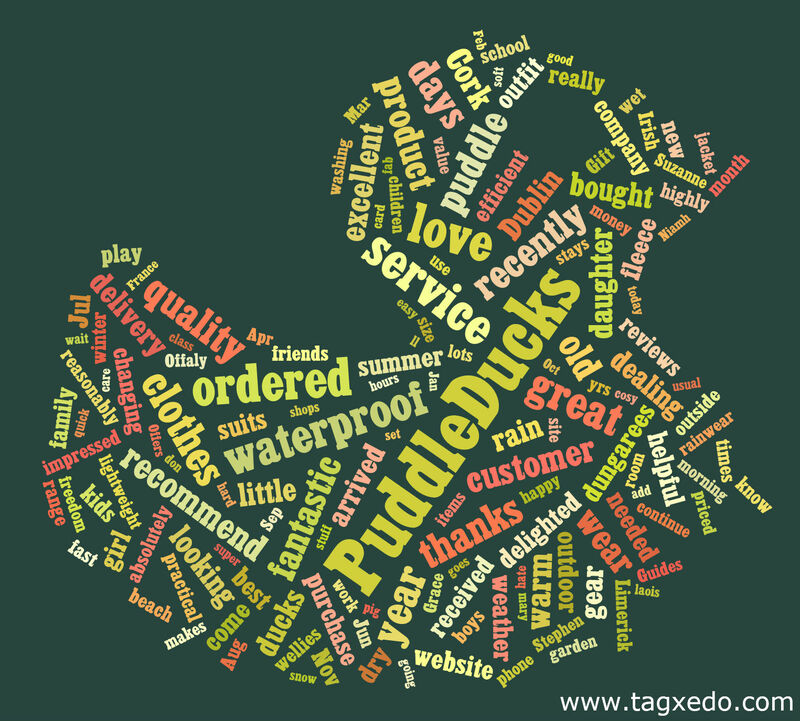 We love these cool duck-shaped word clouds produced using the website tagxedo.com. The first one is of our home page at www.puddleducks.ie. And this one is of our customer reviews page. Note: A word cloud is a a visualization of the word frequency in a given text with the more frequestly occuring words appearing in larger font than the less frequestly occuring ones.